2018 is fast approaching. 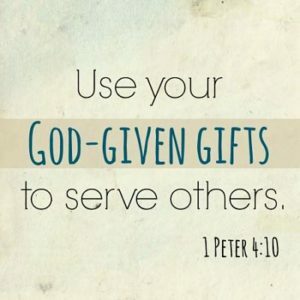 In 2018, many of us will be challenged to step up and use our god given gifts to serve others. This will very likely be of service to humanity. There will be a clear move away from serving thyself and moving to serving others. Why do I say that there is a move towards serving humanity in some way? There are many reasons and needs. 2018 adds up to a master number 2+0+1+8=11 the 11 energy is a master energy, calling people to step up and give their talents to world, local government or of community service. The 11-master energy is an energy of humanitarian roles being generated and people being challenged to put their talents to good purpose and work. Climate change and impact on populations and wildlife. We already can see how climate change is impacting on sea side populations. Oceans warming is impacting on the sustainability of wildlife. Increasing poverty, less jobs and less money. The gap between the rich and poor has been widening but now more than ever this gap must narrow. There will be more emphasis on using the natural laws (Law of attraction) to attract wealth to those in poverty. Care and protection of children. We all know here in New Zealand there are many children who face day to day abuse of some kind and measures must be taken to stop this happening. Worldwide political unrest and consequences. We are seeing this now in the conflict between North Korea and USA. More worldwide peace movements are very much needed. Increasing refugee populations. As many countries are stricken with war, there will be more people needing to leave their home countries.